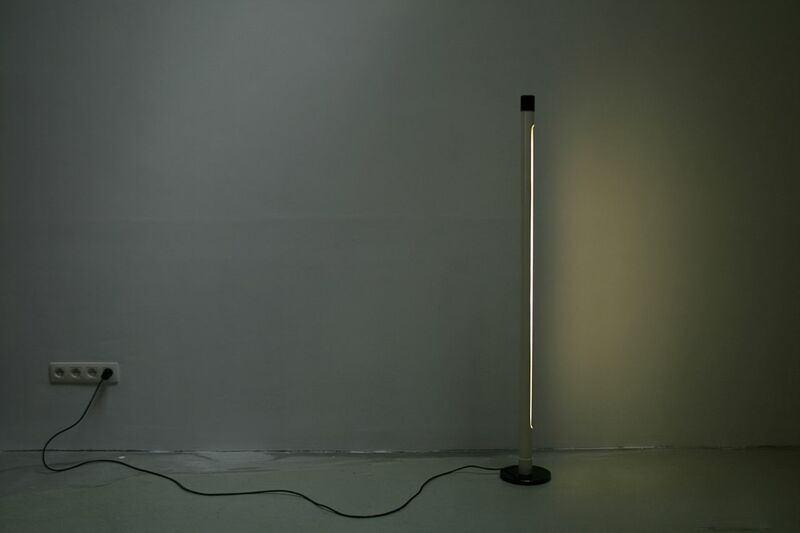 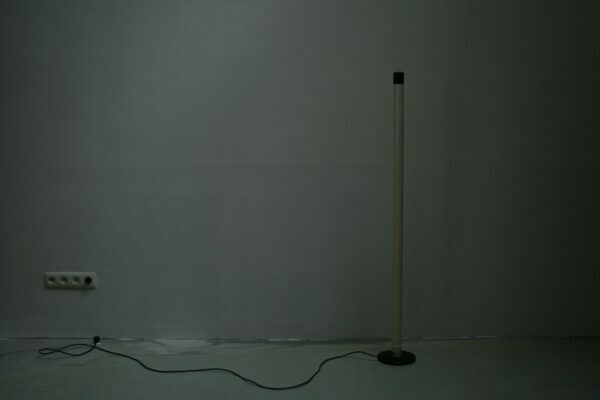 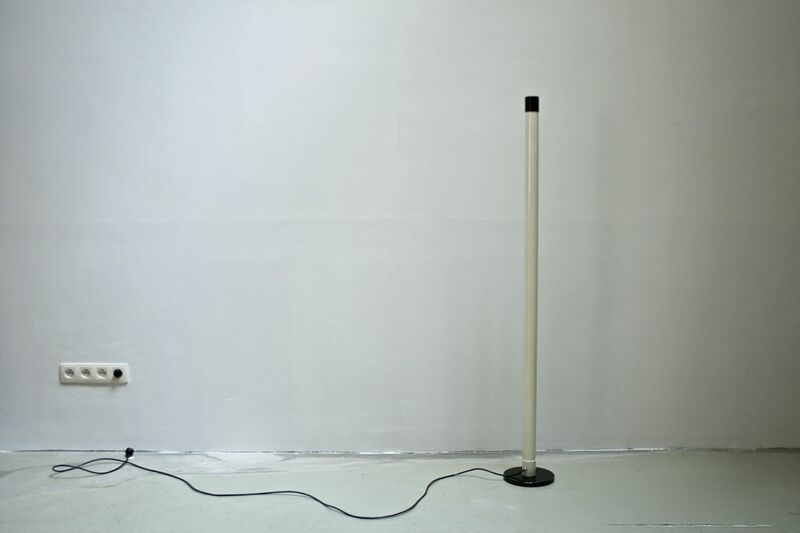 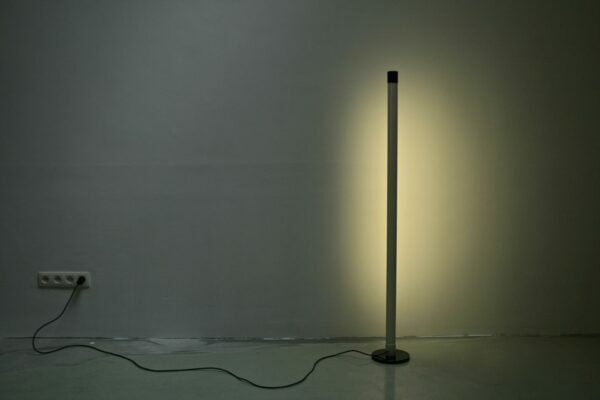 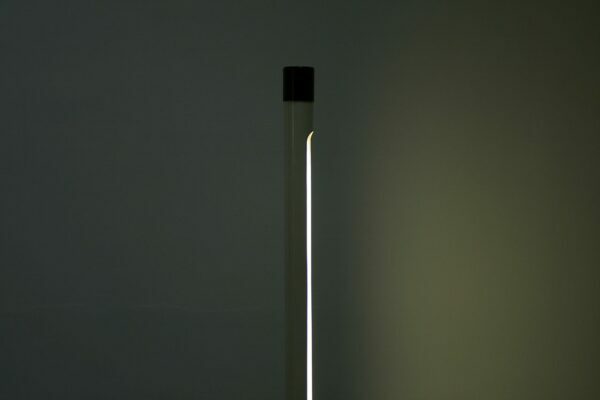 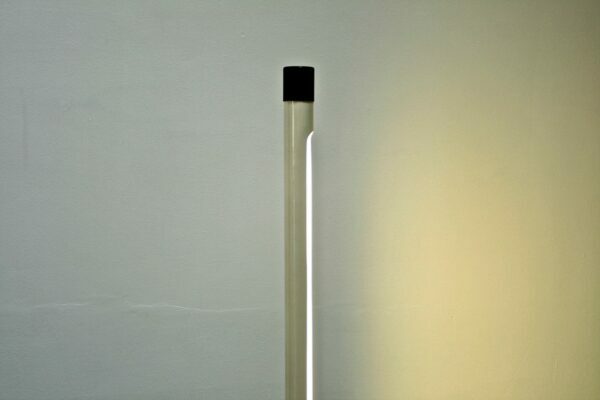 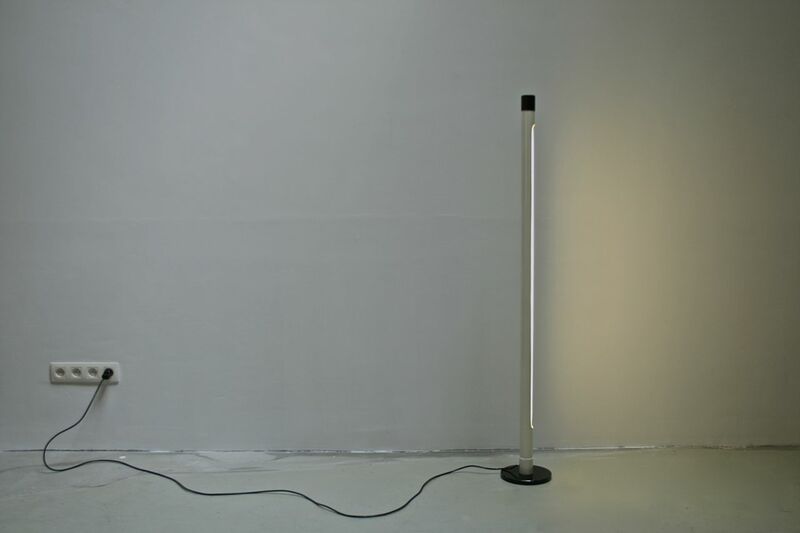 Minimal lamp with an integrated white neon tube. Black and white exterior made in metal. Solid and heavy lamp.